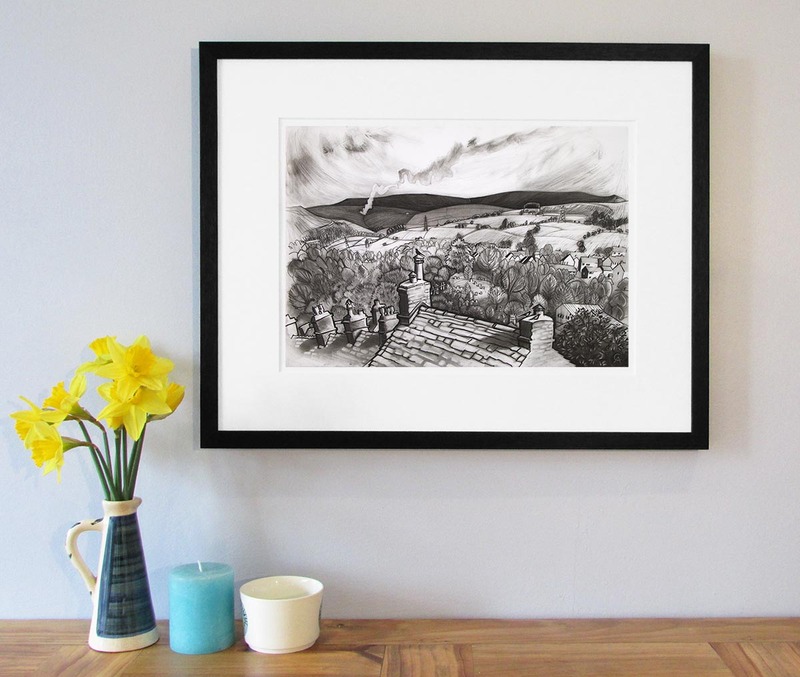 Black and white charcoal drawing looking across the rooftops of High Street, New Mills, towards Kinder Scout in the Peak District. The title of this piece refers to the practice of heather burning on the moors, which removes old growth and allows the heather to regenerate. 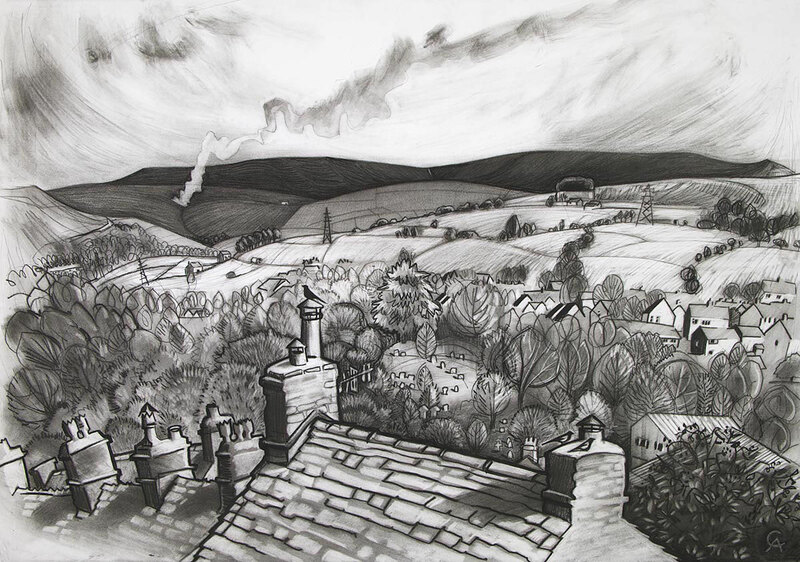 This is the view from my studio window, which I have drawn many times and in different seasons. Jackdaws perch on the chimneys, as well as a pair of magpies, (two for joy). This drawing was done as a commission.